As a child that was full of energy, at the age of two Jasmine Renée started taking lessons in both dance and gymnastics. By the age of 4, she showed a greater interest in Acro that combined her love for them both. 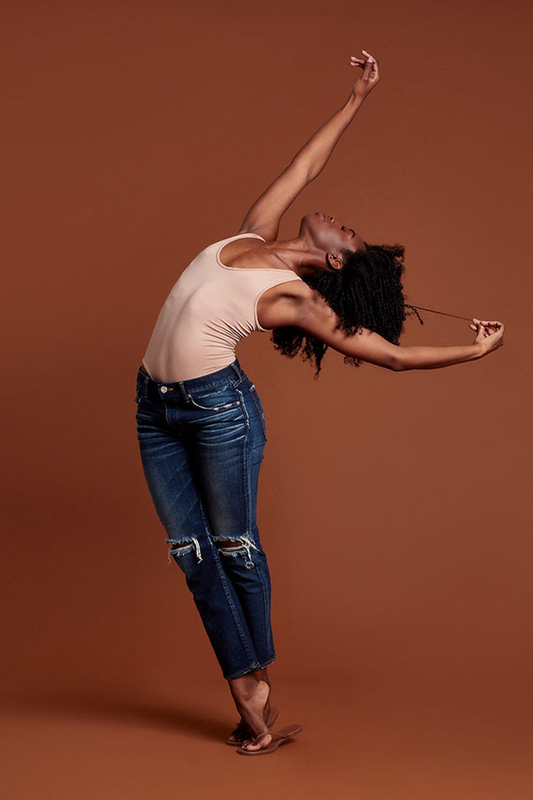 As her passion for dance grew over the years, she branched out into many other dance genres including, Jazz, Ballet, Hip-Hop, Lyrical, Contemporary, and Tap. In High School, Jasmine was a Dance Major in the Regional Arts Program at St Thomas Aquinas Secondary School. In her senior year she was a recipient of the Dance Legacy Award for her contributions to the dance program. After graduating, Jasmine knew she wanted to pursuit a professional career in dance and immediately embarked on developing her career with full time training in Canada, Los Angeles and all across the U.S.
Jasmine has been recognized with numerous scholarship awards from the Monsters of Hip Hop Dance Convention and she is a recipient of the Pulse Protégé Scholarship awarded by the The Pulse On Tour Dance Convention, based out of New York City. These awards have given her the opportunity to tour and train with some of the dance industries leading choreographers such as Brian Friedman, Luther Brown, Gil Duldulao, Napoleon and Tabitha D’Umo “NappyTabs”, Laurieann Gibson, Kevin Maher and numerous other world renowned choreographers. She has been featured in music videos for artists such as Serani “In My Arms”, Jill Barber “Broken for Good” and YTV’s The Next Star Season 7 top six finalist Michaelah “What Are You Doing To Me?”. She has danced in numerous live performances such as back up dancing on live television broadcast of the The Next Star Season 7 Finale for two of the show’s finalists including the winner Jory Zechner and for recording artists Anjulie. Whether she is on stage or in front of a camera dancing, acting or singing, performing is Jasmine’s true passion. With her hard work and dedication, there’s no doubt the entertainment industry is where Jasmine belongs. She continues to be inspired to greater achievements by her fellow artists and mentors.